So can you and that too at home. 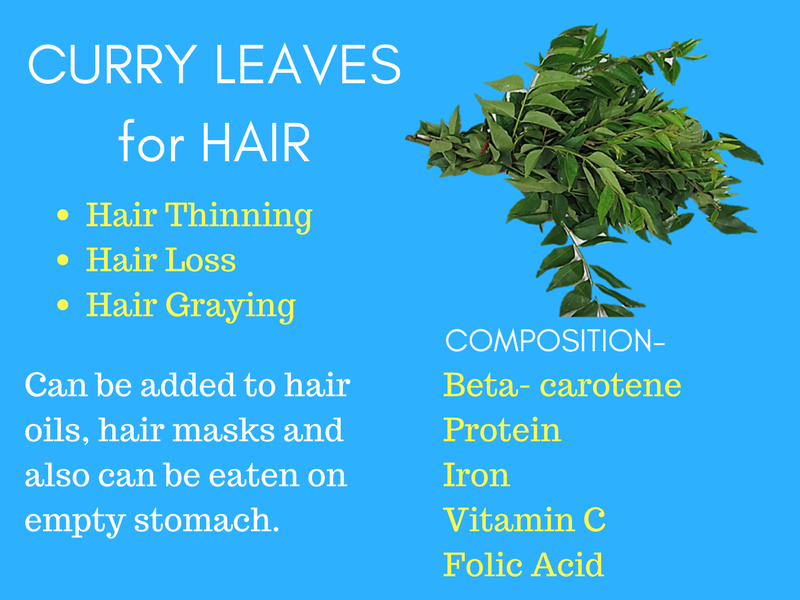 DISCLAIMER- It is not meant for serious baldness issues but for the regular hair loss and hair thinning issues. 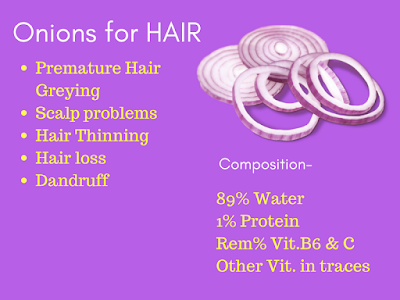 Provides- Nourishment to the scalp, Hair-growth, etc. Mostly used in south-Indian cuisines, this flavor adding ingredient is a brilliant source of beta-carotene is a red-orange colored pigment found in carrots, beetroots that give them the color. Our body converts this beta-carotene into Vit.A for healthy skin and good vision mainly. Keratin, the base of our hair are composed of sulfur and onions are high in sulfur content, they help in building the strength and core of our hair. 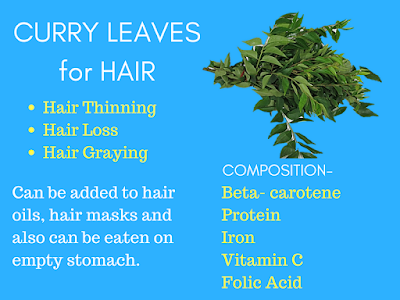 It boosts blood circulation to the scalp which in turn improves hair growth. 1. Heat 250 ml virgin coconut oil in a pan. 2. After 5 minutes add onions. 3. Then after 5 mins add curry leaves. 4. Heat for next 15 mins. 5. Add castor oil/ almond oil/ olive oil for further improvisation. Castor oil is said to improve the length of the hair and split ends. Almond oil provides Vit.E and nourishment to the scalp. Olive oil for getting voluminous hair. 6. Let it cool down and then filter the oil with a help of a sieve. All your efforts will go waste if you have taken less amount of oil. What exactly happened to me! If you have taken less oil, consequently the time to heat it also decreases. Keep a constant watch on your oil. Heating the curry leaves and onion take away their goodness? No, both of them are used for cooking and it is perfectly fine to heat them. Onions when heated release a wider variety of compounds that are readily absorbed by the body than the raw onions. Can heating oils break their molecular constituency? My virgin oil won't remain virgin now. It was cold-pressed but now I have heated it. It is gonna take away the good things about virgin coconut oil. But that's not true. Virgin coconut oil is 82% saturated fat and these fats are stable when heated and do not create toxic byproducts. That is why it can be used for cooking also. But remember, NO OIL SHOULD BE HEATED ABOVE ITS SMOKING POINT. Smoke point is when the oil starts burning and you can notice the burning smell too. It means the oil is no longer good for use. Hey Aisyaa, have you used it yet? Nice..I have used kalonji and methi oil. How long will this oil keep? I used this oil for 3 months and it stays for long period of time. Though the smell is really strong, I can't use it for overnight application. It helped me in hair fall and dandruff issues.